If the US seeks Modi's extradition, he may not contest his extradition to India since he faces a lesser punishment back home. 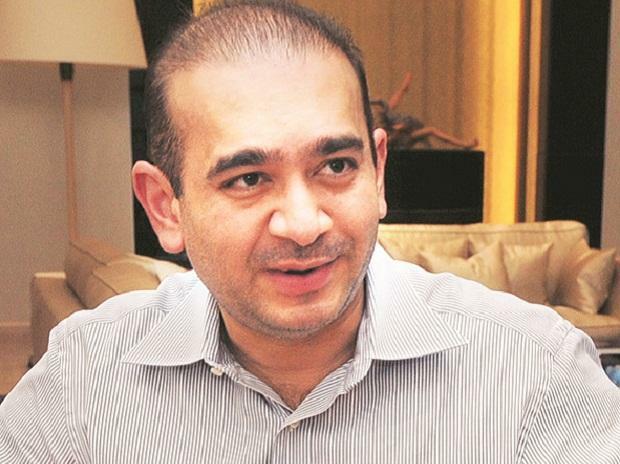 The United States may try to stake claim for fugitive Nirav Modi's extradition from the UK so that he can be charged under the stringent Racketeer Influenced and Corrupt Organizations (RICO) Act in an American bankruptcy court. This move may prompt the Indian diamond merchant who is behind bars in London not to contest his extradition back home since he faces a stiffer punishment in the US. In February 2018, three companies linked to Nirav – Firestar Diamond International, A Jaffe and Fantasy Inc – filed for bankruptcy protection in the United States of America (USA). However, earlier this week the bankruptcy court has charged him and two of his associates- Mihir Bhansali and Ajay Gandhi, -top executives of the three bankrupt US companies, under the Racketeer Influence and Corrupt Organisations Act (RICO Act), which is a United States Federal Law designed to combat organised crime, and has been famously used to prosecute members of the fabled 5 Mafia families of New York city and other Italian mafia families across America. The court accused them of “breach of fiduciary duty, aiding and abetting breach of fiduciary duty, corporate waste, and violations of the RICO Act". The federal Racketeering Influenced and Corrupt Organizations (RICO) law was passed in 1970 as the "ultimate hit man" in mob prosecutions and allows prosecution and civil penalties for racketeering activity performed as part of an ongoing criminal enterprise. Under this act, if the defendant is proven guilty in two or more instances of racketeering activity together (which could include illegal gambling, bribery, money laundering, embezzlement and even drug trafficking or murder) he/she faces a stiff prison sentence which is significantly more than the total of the individual crime. According to a report in the Mint, the conviction under the RICO Act could see Modi and his two associates facing up to 20 years in prison and an award of treble damages plus attorney’s fees. A US statute allows a court to triple the amount of damages that a defendant must pay to a plaintiff. Reports quoting Enforcement Directorate officials said in such a scenario Nirav Modi may not contest India’s extradition request as aggressively as he is now. Modi is currently undergoing extradition proceedings in the UK and intends to appeal for bail in the UK High Court after a second bail application was rejected by a lower court in London last week in the $1-billion Punjab National Bank (PNB) fraud and money laundering case. Indian authorities and Punjab National Bank lodged a complaint in January 2018 against Modi and entities controlled by him, alleging that he and his co-conspirators fraudulently borrowed $4 billion over years by creating sham transactions as a way to import diamonds and other gems into India. On March 19, 2019 Nirav Modi, who was absconding for over a year, was finally spotted and then arrested in London on behalf of the Indian authorities.